We are still 18 days away from the start of the Just for Openers convention in Las Vegas, and potential deals are already being discussed. Always good to lay the groundwork, as far as I am concerned. In preparation for the meeting, and in anticipation of a blockbuster deal to be done between Tipped Worm Johnny and I, I have been rounding up some appropriate trade bait. 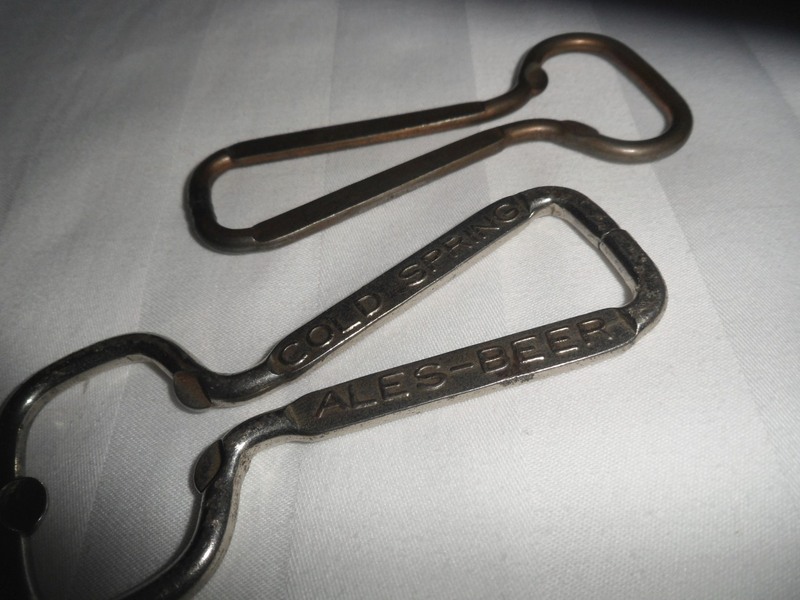 And, over the course of the next two weeks, I will be digging around to be sure that there are enough openers available to strike some deals with the usual suspects. I got back on the island yesterday, after the most recent corkscrewing adventure. And, there were a couple of arrivals waiting in the post office box. 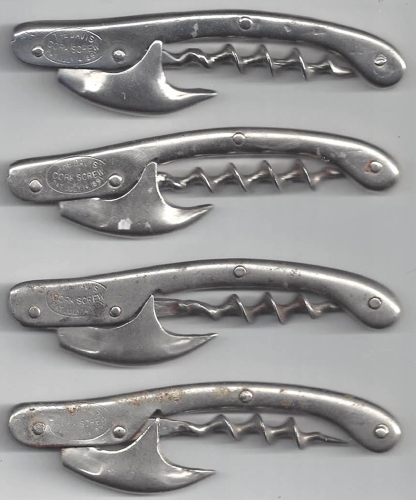 The Davis foursome, which now puts the current count of Detroit corkscrews at 17 give or take. As he disappeared, I thought to myself… I am pretty sure that I have never been here before, but I will roll with it (this was actually the second time this happened in two days). Could he have a Sperry in the back of his shop? 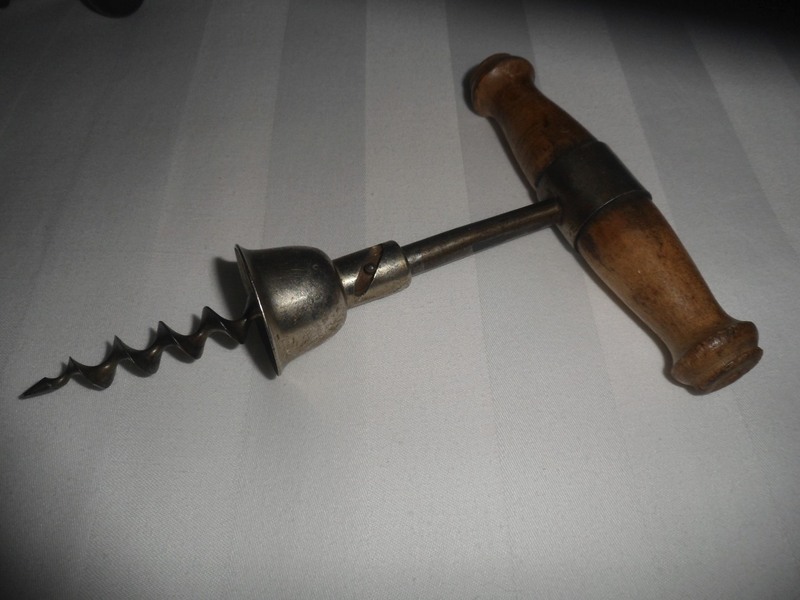 I did consider asking him to go hunt around some more, but eventually decided to express my interest in whatever he finds, and he promised to save the corkscrew for me, and will call once it turns up again. 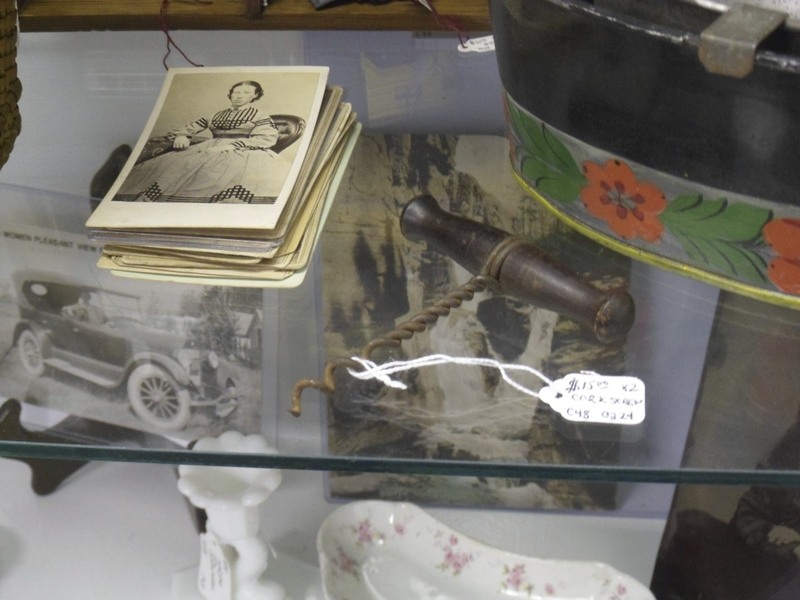 As mentioned recently, after dropping the lovely personal trainer at the airport–who was bound for a personal training/fitness conference–I headed off on an antiquing adventure. And, I did start heading towards Antique Alley in New Hampshire. However, the first 5 stores/shops I came to were closed. 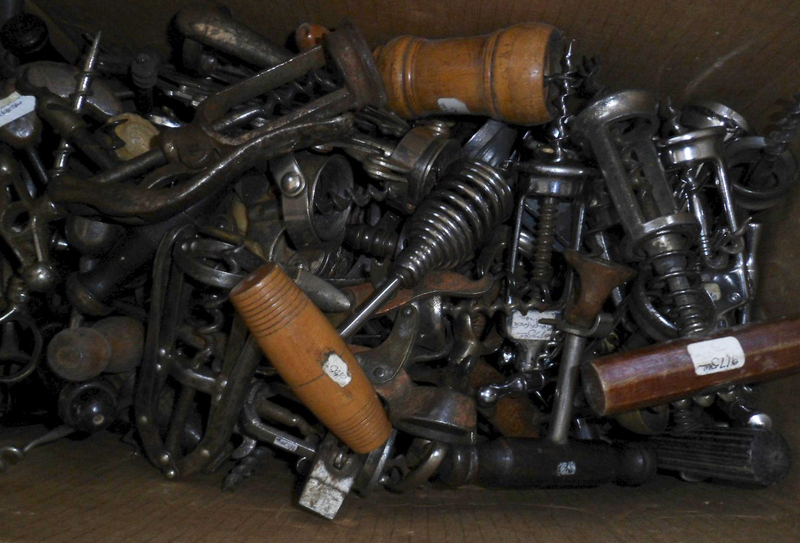 That said, I did find a few that were open, and did find corkscrews. 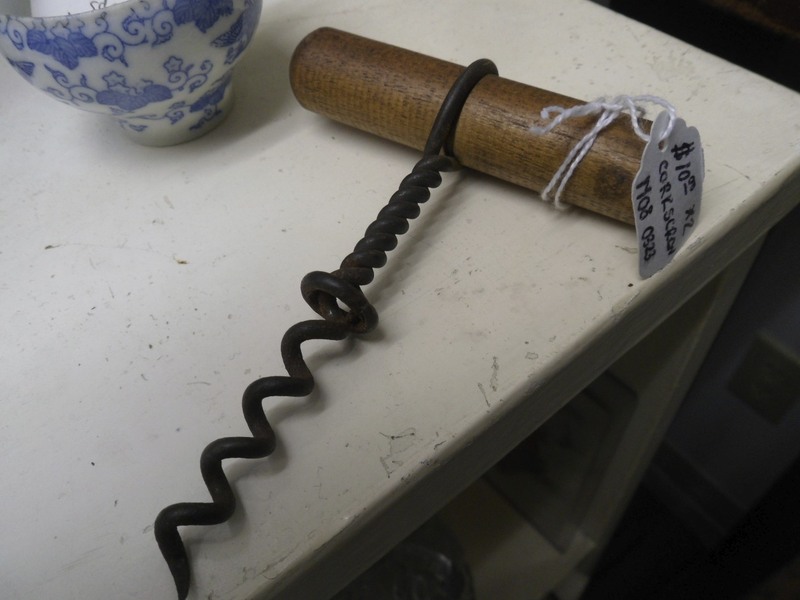 None that I really wanted to buy, but there WERE corkscrews. After departing Antique Alley, I headed towards Quechee Gorge–site of legendary past finds by a myriad of collectors. And, as often is the case, the great find remained elusive. Perhaps tomorrow, I thought to myself. This morning started with some bad coffee, and a long drive. Would the drive be worth it??? It was indeed worth it. 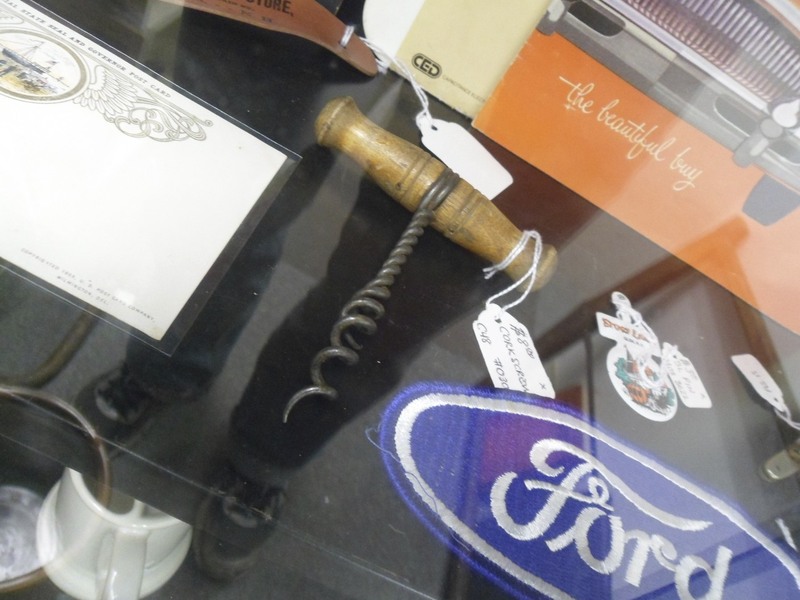 At my third stop this morning, I unearthed a Curley Patent for a very nice price…and this price was even better as it was a group pricing for two corkscrews and a couple of bottle openers. And, on the next stop… A KISPLY for a song–not that I actually sang. After a few more stops, I realized that I needed to get back on the road and start heading for home. I grabbed a cup of coffee and spun the mini around. Having seen a few shops that were not open on the drive out, I figured I would retrace my steps. For one shop, I called ahead, and it definitely paid off. I explained that I would be passing through, but I had heard rumor that he had some corkscrews. 30 minutes later, I was inside the shop, and looking at a small collection. We discussed pricing and such, and while I departed empty handed, the negotiations are ongoing for several. After the box of corkscrews, I headed off trying to get a few more miles behind me. And, as I approached my destination for the evening, I saw another antique store. It couldn’t hurt to take in one more could it??? 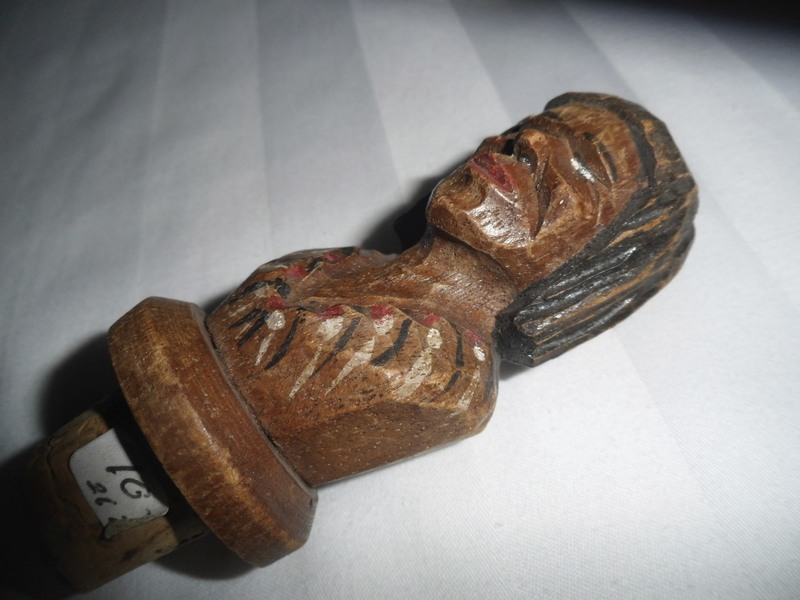 The antique shop really didn’t pay off in a great way, but it was still an interesting visit. I meandered the booths, and hadn’t seen anything worth buying. I then headed upstairs, and entered a booth and saw a Clough sitting on the shelf. Priced at 10 dollars, I decided to pass it up. Within the same booth, there was a double helix Clough for less money than either of the other two. I did buy that one. Odd that the dealer who had all three Cloughs would think the double helix is somehow worth less than those with a single helix. 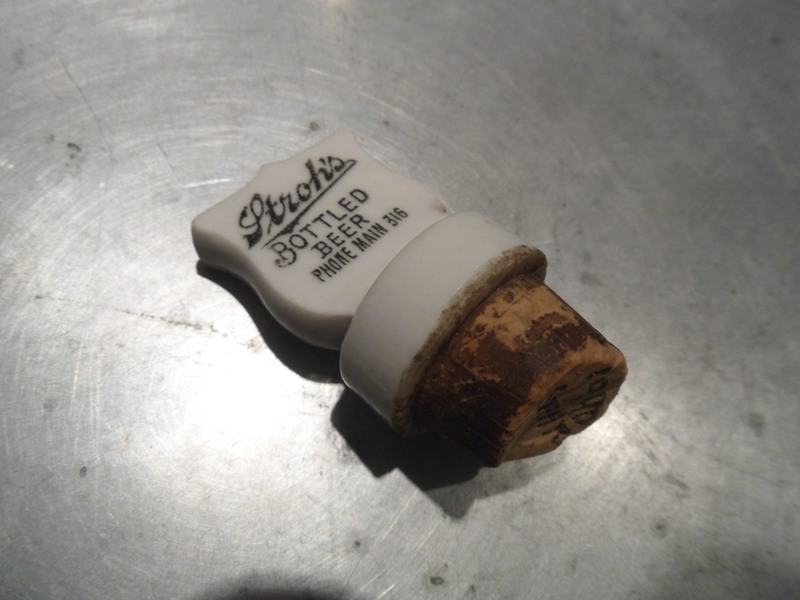 On a non-corkscrew note, I did pick up an interesting Anri-looking bottle stopper. I have still have tomorrow to hunt around, before heading up to the boat and sailing for home…perhaps more corkscrews will be found. And, I will update the blog, should something turn up. 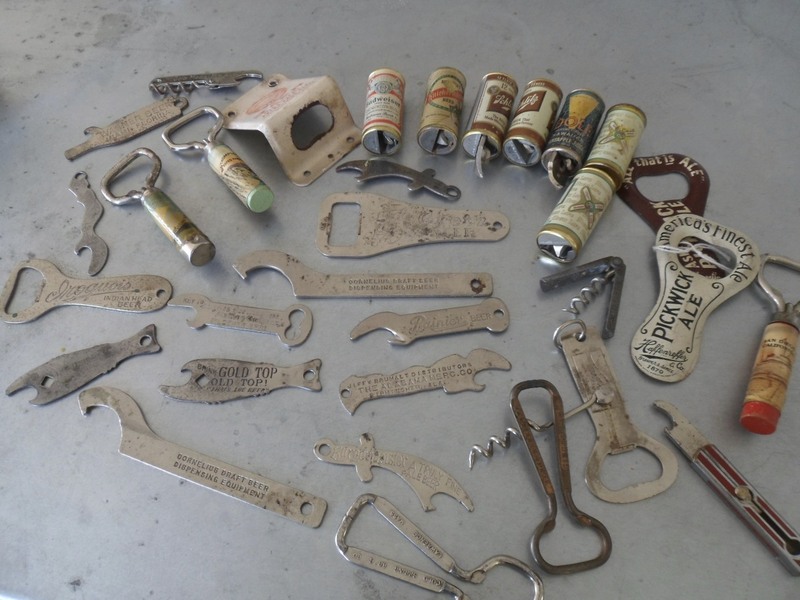 As mentioned in the past, once you have one or two of a particular corkscrew or corkscrew maker, you might as well collect a few more–or perhaps 16 more. 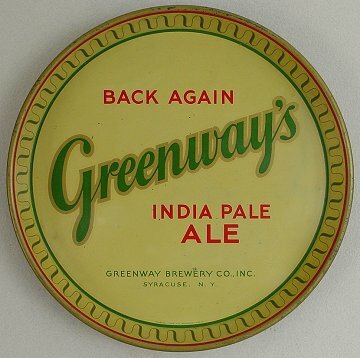 While this looks like an ordinary Davis, it carried an advertisement for Greenway Brewing. Now, I do have a Puddefoot/Detroit with Greenway Brewing, but not a Davis–this is where you are surely saying, you are getting a little obsessed with these things–and so I placed a snipe bid, and went off to dinner with the lovely bride. When I had last checked the Davis was sitting there at 36 dollars. I figured I had a pretty good chance of adding the corkscrew to the collection. 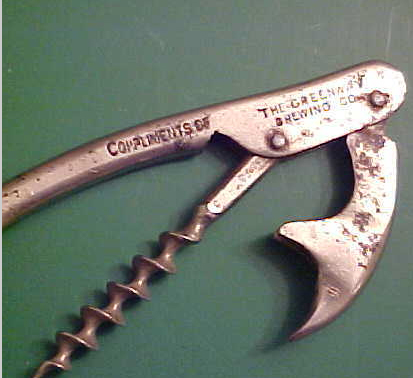 Tomorrow morning the corkscrewing adventure begins. The lovely bride and I are on the first boat to America, and after the requisite cup of coffee at Rock City, we will start driving down the coast to Portland. From Portland the lovely will be boarding a place to Las Vegas for a personal trainer / fitness conference–and I will head off on an antiquing adventure for a few days. After much consideration, I decided on heading through New Hampshire along Antique Alley, and then will continue on–after finding tons of rare corkscrews–towards White River Junction. The follow day, I am not sure. But, I will provide updates as to any corkscrew finds along the way. 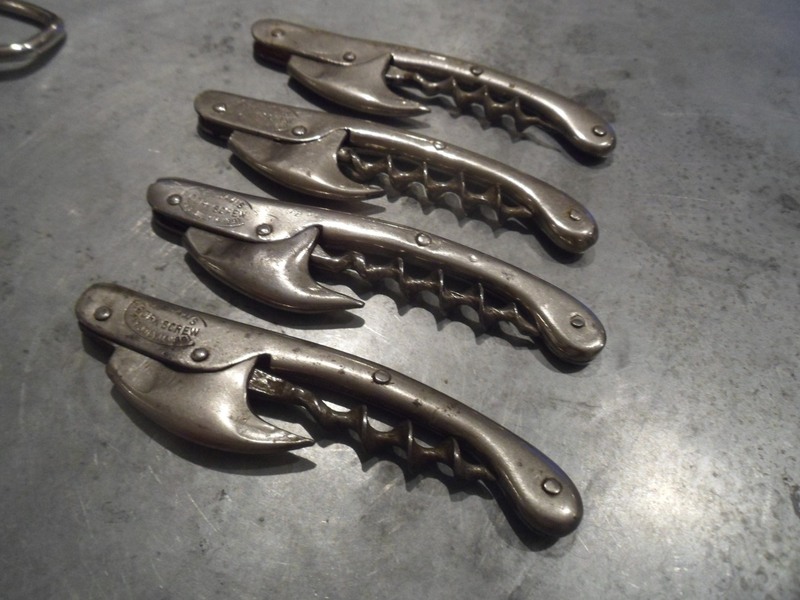 Speaking of corkscrews… I did manage to win a lot on eBay a few moments ago, and while they are all very similar to other Davis corkscrews that I have, I couldn’t help myself. The lovely personal trainer and I will shortly be heading down the street to a friend’s house for our annual open that bottle night. And, we will be bringing a bottle that does indeed to be opened. And, truth be told, this isn’t one of those bottles that has been sitting around waiting for the appropriate occasion to be opened, and the occasion has yet to present itself. We actually have the better part of the case of said wine, which by coincidence was acquired in a corkscrew deal. 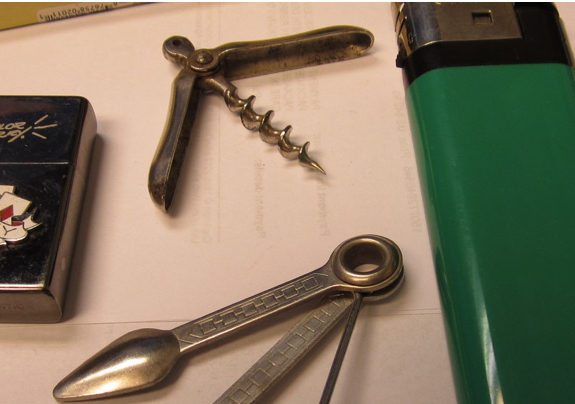 Our friend Shel, who owns (and is the winemaker) at Paloma Vineyards also collects corkscrews. 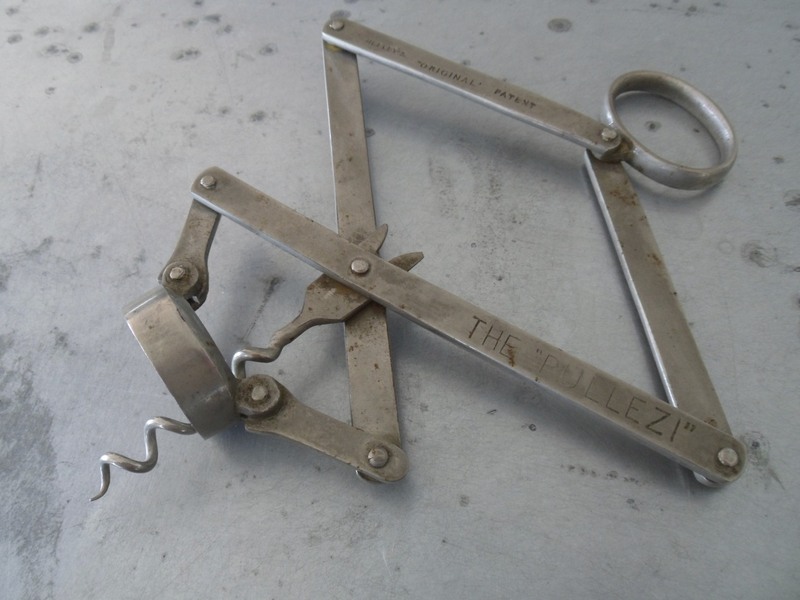 And, we negotiated swap of a corkscrew for the equivalent value of his wine. Both Robert Parker and WS gave Sheldon’s wine a rating in the 90’s. And, as it happened, the Paloma Merlot made WS’ top 100 wines of the year in 2009. The question remains, what corkscrew should accompany the bottle–in order to remove that which is keeping us from the”…elegant…beautifully layered plum[my], cedar and loamy, toasty oak flavor[ed}…dense, complex…” yumminess. I am thinking the fancy decorated Detroit leg would be an appropriate choice. And, I am sure Shel would agree. They’ll take over the world. On to corkscrewing around. On Monday, I take the lovely personal trainer to the airport, and then head out on a three day antiquing adventure. However, I haven’t decided on which direction to go. So, feel free to weigh in on which area that you think will net out the best finds. 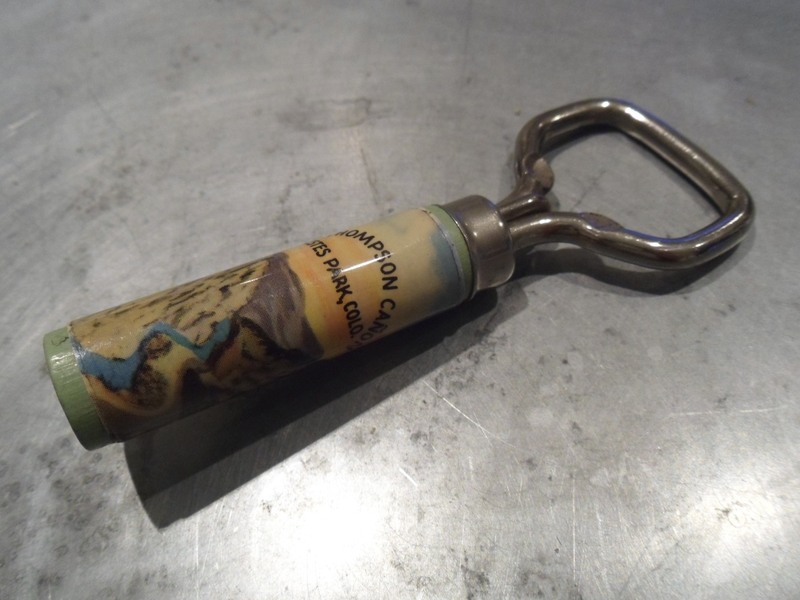 I am sure each will allow for some corkscrew discoveries… And I will report back here with news of any finds during the trip. The Perille Perle arrived the other day, and it is in fantastic condition. Definitely a keeper, and a welcome addition to the collection. 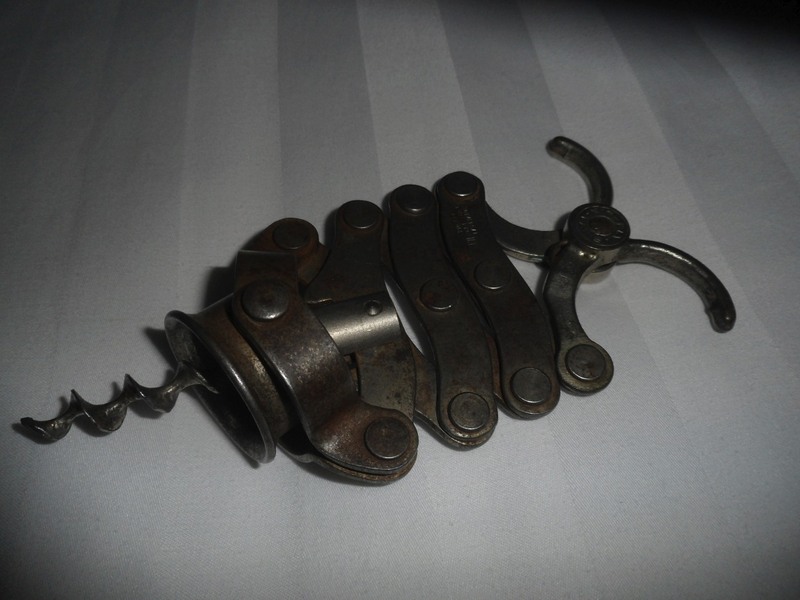 While the Perle is definitely a really nice addition to the collection, yesterday another corkscrew arrived. 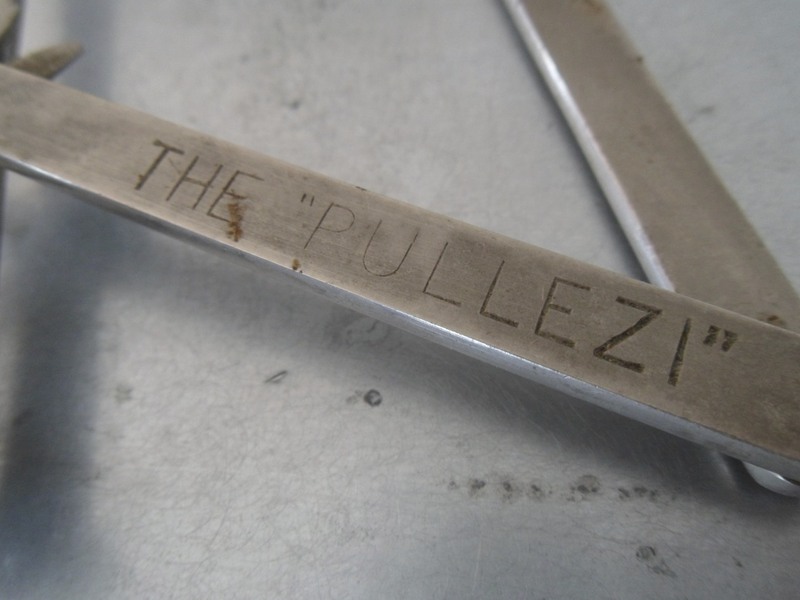 And, that is the cleanest Pullezi I have ever had. 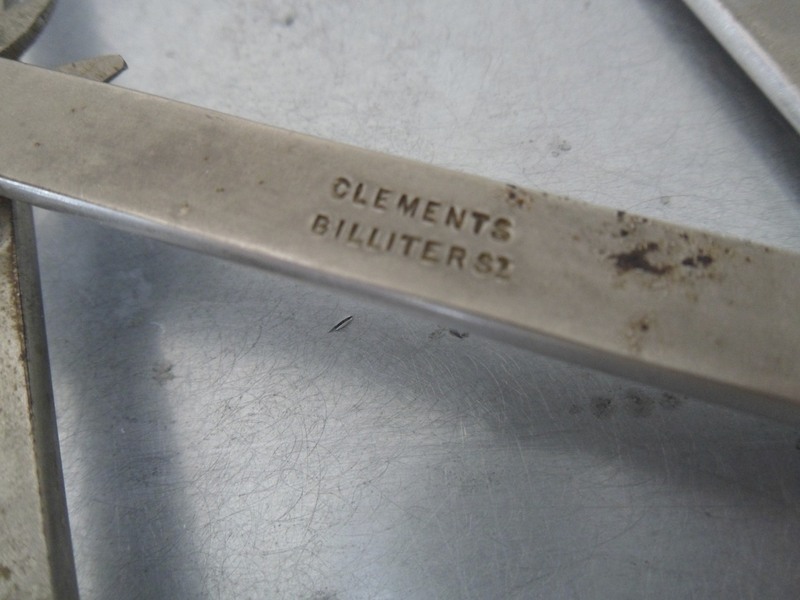 It is really well-marked, and even has advertising for “CLEMENTS, BILLITER ST.” From what I have gathered, Clement’s was a cutler and retailer in London. BTW, it works really well!!! 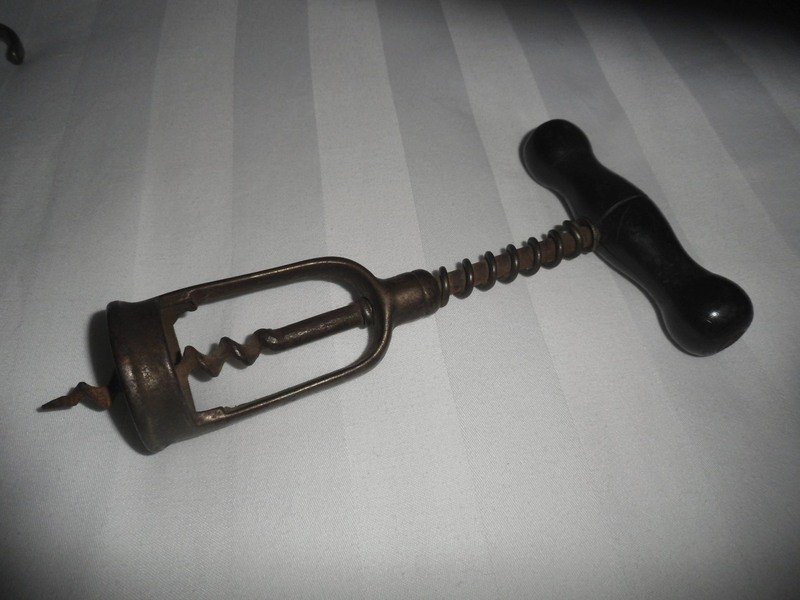 While I have owned several examples of the American Peapod corkscrew over the years, I have long been trying to acquire its German and French counterparts. 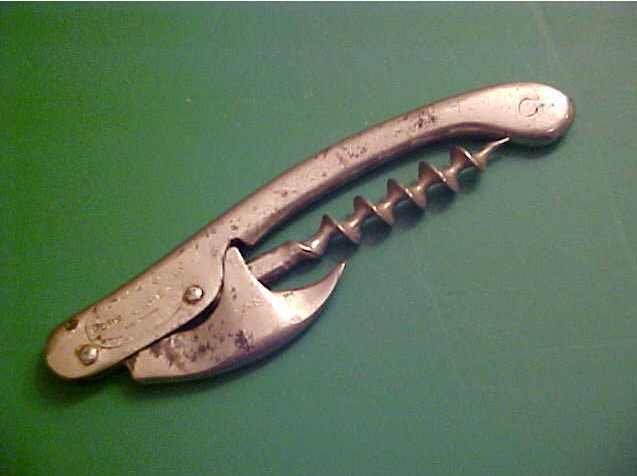 And, these little folding corkscrews have continued to prove difficult to find. Technically they are available from time to time–on the ICCAuction for example–however, the prices always climb to such a point that I can’t bring myself to spring for one of them. 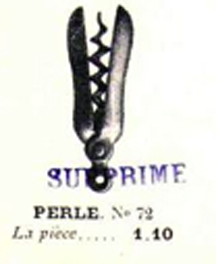 The Perille Perle in particular, is such a simple little corkscrew, that I keep waiting to come across it at some flea market, antique show, estate sale for a fairly reasonable price. 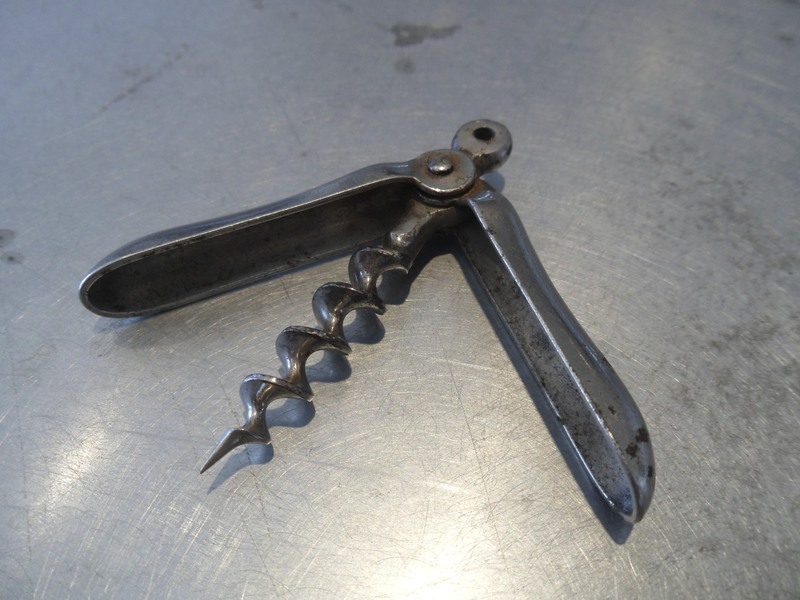 BT and I have had a recurring conversation whilst we traipse the fields of Brimfield about pieces that look simple, but in reality are quite desirable; like the Barnes patent bow, Clark direct pull corkscrew, and other simple straightforward looking corkscrews. 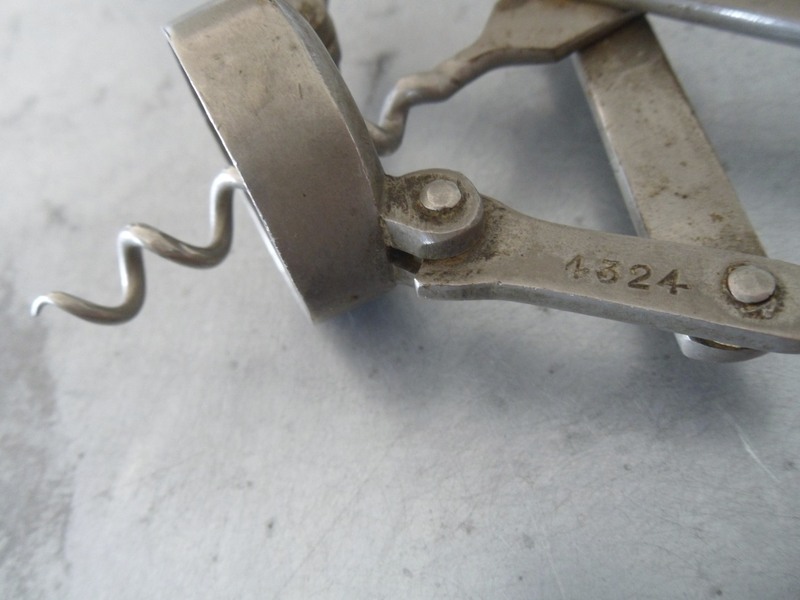 If the seller isn’t aware of those subtle differences that make a nice corkscrew a fantastic corkscrew, it is generally going to end up on a table along side an unmarked Havell bow, or Williamson T with similar pricing. So…I hunt, and hunt, and hope, and hunt some more, but the Perle still hasn’t shown up at all, let alone with a nice price of say… 20 dollars or so. Of course, if you wait long enough, are diligent enough, or in my case, lucky enough to be at the right place at the right time, the piece just might turn up. 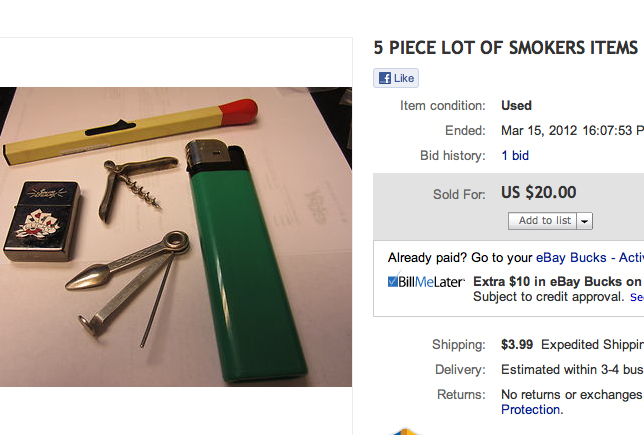 As it happened, the other day an interesting lot of smoker’s tools appeared on our second favorite auction site–the aforementioned ICCAuction being the favorite. Within the smoker’s tools lot was what looked to be the Perle! I looked closely at the listing, and was pretty sure, but happened to have Peters & Giulian’s book on pocket corkscrews nearby. I quickly thumbed through the book to page 163…and it looks really close. Yes… the Perle is sitting right there with the lovely “buy it now” price of 20 dollars, how could I resist! I clicked, and did the corkscrew-dance-of-joy! 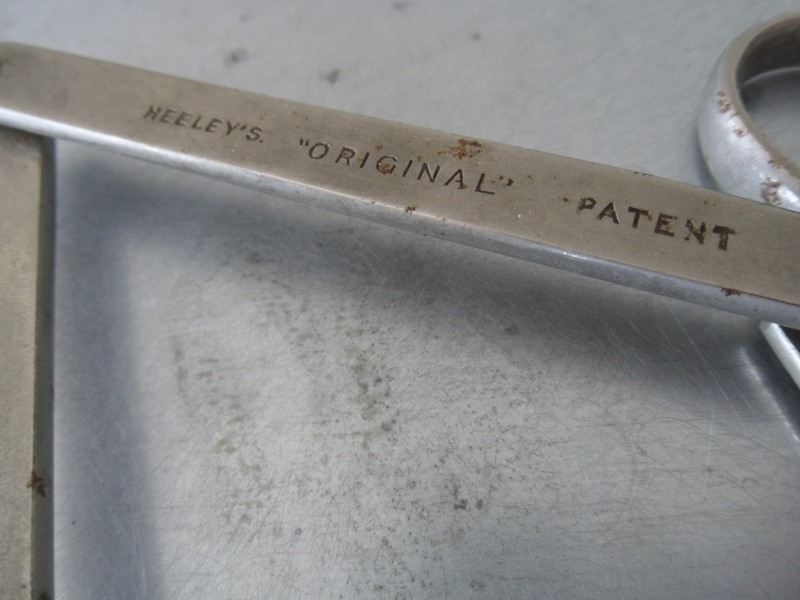 The conversation did go on from there about other topics, but if there was any doubt that I had indeed found the Perille Perle Pliant, they had just been confirmed. “I had to laugh after reading through your latest blog update. I cut myself also, rummaging through a cutlery box in a brick-a-brac shop when on a day trip to Croma. 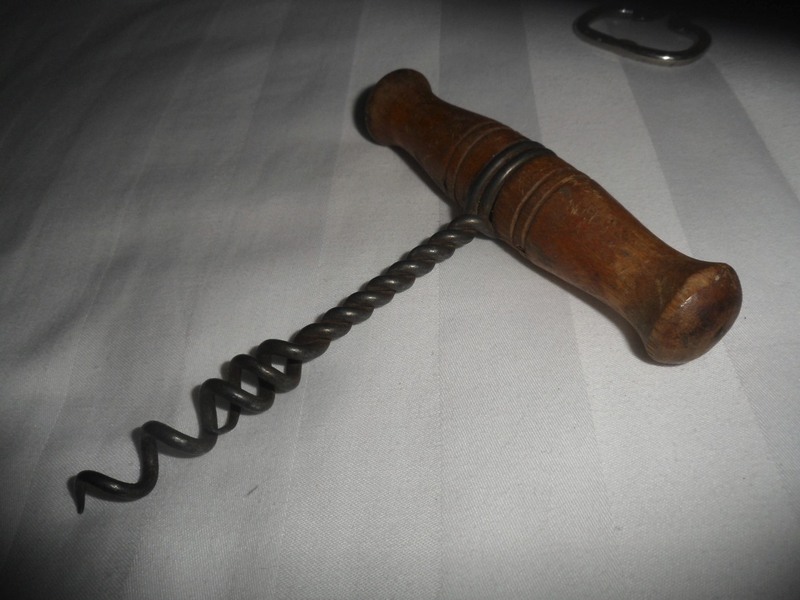 It was a 50p box and i found a nice vintage pocket corkscrew with caplifter well worth £10.00. After thinking about it, I believe the box of kitchen implements got me several times. And, while it was several years ago, I remember needing to wrap up my wounded index finger to keep from spilling too much blood over the offending box of objects. 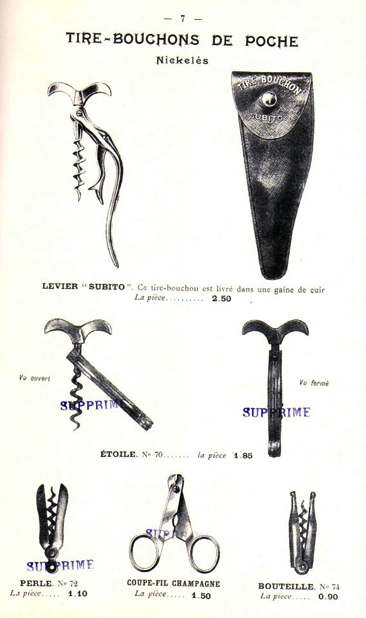 Of course, I kept on digging… what if there was a rare corkscrew underneath all the dangerous sharp bladed utensils. I can’t rightly answer Gav’s question, as it was a big box with hundreds of items within it, but it suffices to say I eventually learned my lesson. No, I didn’t stop rummaging vigorously. I simply brought along a sufficient amount of medical supplies. 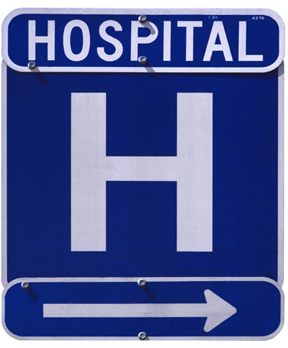 However, it did occur to me that not only do we sacrifice sleep, one could experience exhaustion, weariness, dehydration, heat stroke, sunburn, frost bite, twisted ankles, blisters on one’s feet, the aforementioned (practically) severed index finger, and other medical emergencies while hunting for corkscrews; could our twisted obsession result in hospitalization??? And, while I think the most I have ever actually suffered was a small cut (or two) from the Chicago thrift store mis-adventure, as with Gav, there must be other stories of bloodshed, ankle sprains, and loss of limb out there. Given that one can post comments on the blog, I would like to hear from you–or you can email me. What ills have you suffered for this twisted obsession? Did you continue bravely despite your ailment? Was the pain worth it?